Confident export outlook for Swiss SMEs. 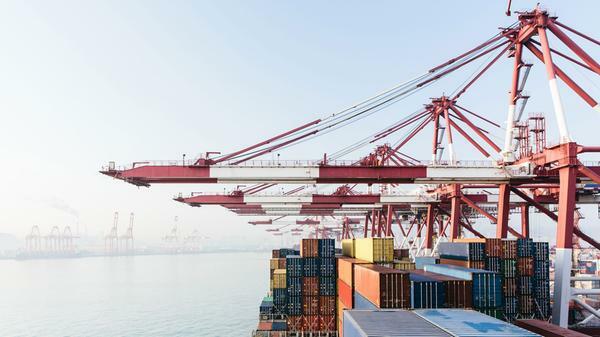 Swiss SMEs can count on further growth in exports in 2019, though at a slower rate than in the record year of 2018. A return to average long-term growth rates seems likely this year. We are a reliable partner for your foreign exchange transactions. The Credit Suisse export barometer will remain well above the growth threshold in the future. Demand for exports of Swiss goods is expected to grow again in 2019, although expectations have weakened slightly compared with the boom year for exports in 2018. In no way does this minor regression constitute a trend reversal; rather, it amounts to a return to the average long-term growth rate. The slight downturn can be attributed to depressed industrial sentiment in the US and Europe. The trade war between the US and China, which could hurt global trade, is an indirect risk for Switzerland. "The outlook for the Swiss export sector nevertheless remains good," says Sascha Jucker, an economist at Credit Suisse. European industrial production continues to expand, with positive consequences for Switzerland's economic growth. The Credit Suisse export barometer shows the demand for Swiss products on export markets. It illustrates the extent to which the 2019 figures are above the growth threshold, and what a normalization means for Swiss SMEs. Swiss SMEs are confident of further growth in exports this year. 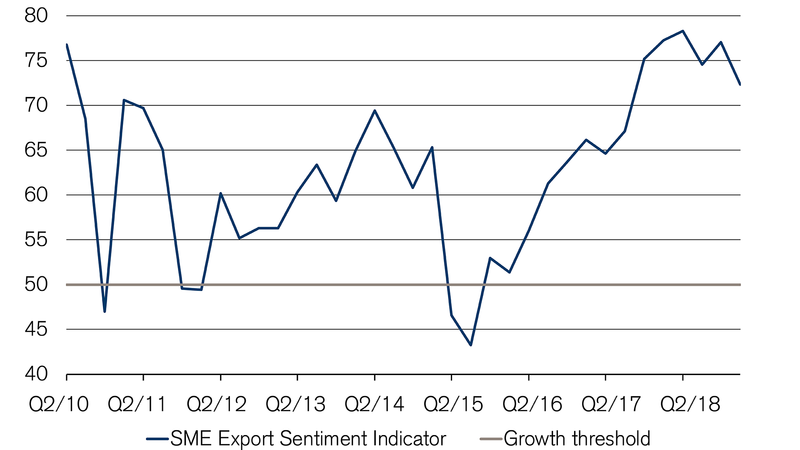 Export sentiment sits at a strong 72 points for the first quarter of 2019, according to Switzerland Global Enterprise. For the year as a whole, 77% of companies expect a rise in exports. Major destination markets include Germany, France, and the US. In addition, many Swiss companies intend to capture new markets in 2019 and become active in countries such as India, China, and Indonesia for the first time. Exporting successfully: A ten-point checklist. Exporting to Germany is simple – with a few challenges. Exporting to the US: 5 dos and don'ts. Successfully exporting to China. Overcoming cultural differences. Do you have any questions about the export barometer?